Do you have one appliance you can not live without? I do! It’s my KitchenAid Mixer. It has it’s own spot up ON the counter. Every other appliance is put away — hidden. 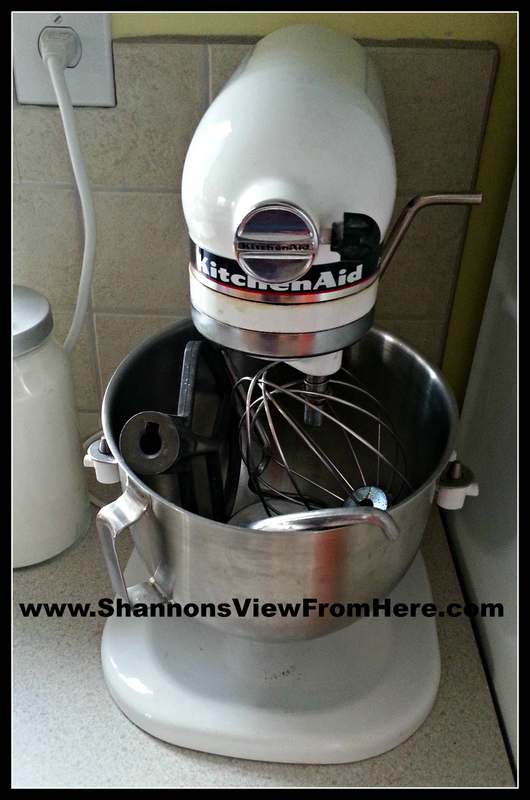 My KitchenAid gets used often and I love it! Isn’t she pretty? She makes good time of mixing up cookie dough. It is that time of year after all. Christmas is coming and I have been busy making those treats that the family loves! It is so handy to have an assortment frozen goodies ready to go! This is a new favorite cookie recipe that I spotted on Pinterest that linked to a recipe on Food.com. I read the comments first and adjusted as per the most popular suggestions. Happy they were a hit with the little ones. I was not sure how they would react to the cardamon flavour. This cookie really does freeze well. Place on cookie sheet and with the bottom of a small glass, dipped in the sugar, press the cookie to 1/2″ thickness. Press a couple of almond slices into each cookie (use more if you like). Have cookies at least a 1/2″ apart. Oh wow! These look super delish. I will have to try this out this holiday season! I love Christmas cookies. Baking cookies always make me think of the holidays. Pinned it. I WISH I had a KitchenAid Mixer! I have to mix everything by hand… and it’s a pain. These cookies look great! I have a stand mixer and love it as well. Makes christmas baking so much easier. Thanks for sharing this recipe, I am looking forward to starting my Christmas baking soon too! I think I am going to make these for a cookie exchange. They just sound so delightful! These sound amazing! I adore cardamom and I love cookies, so these would make me one happy girl! I’ll be bookmarking this page to make these next Christmas! Thanks! 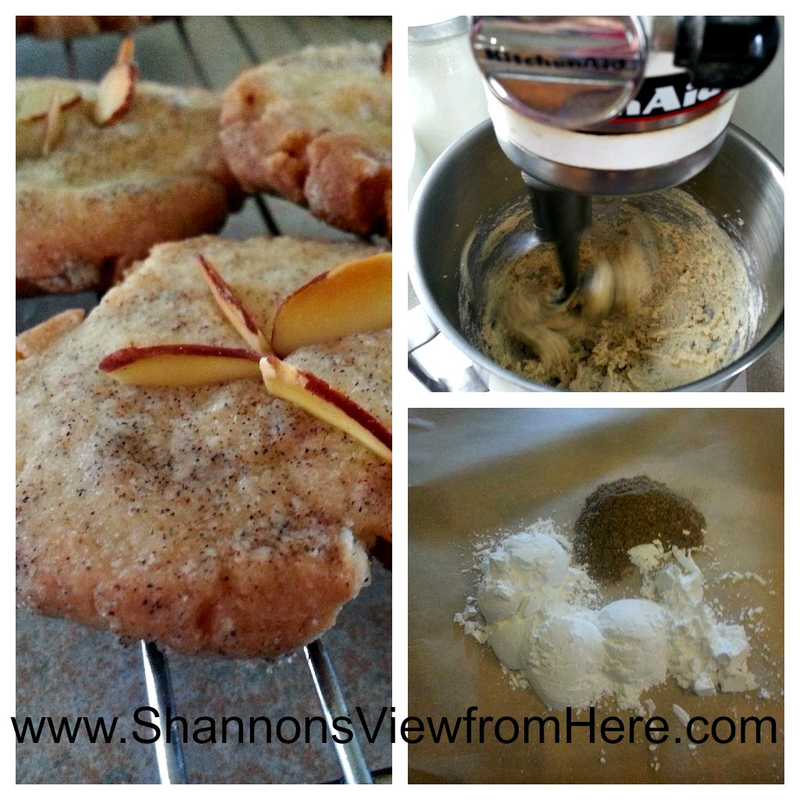 If I had a KitchenAid mixer my house would forever smell of freshly baked cookies…! These look so wonderful! These cookies look delicious. I really wish I had a mixer. I love baking breads and rolls and would love it if I could just knead the dough in a mixer. I love cardamom! I’ve never had it in cookies before. I”ll have to try this!